In a post called The (Actual) Evolution of Cool, I described the difference between cool and non-cool music using Stevie Wonder’s “Superstition” and a Sousa march. TL;DR: Putting the emphasis in unexpected places tickles the cerebellum’s timekeeper, which simulates danger, which feels cool. One way to inject the unexpected into music is by emphasizing the offbeats. If a song has four beats per measure, as most do, beats 1 and 3 are strong beats, the obvious places to put your emphasis. Polka bands, marches, and hymns all emphasize 1 and 3. But if you want to be even cooler than a hymn, throw the emphasis to the offbeats — one-TWO-three-FOUR. 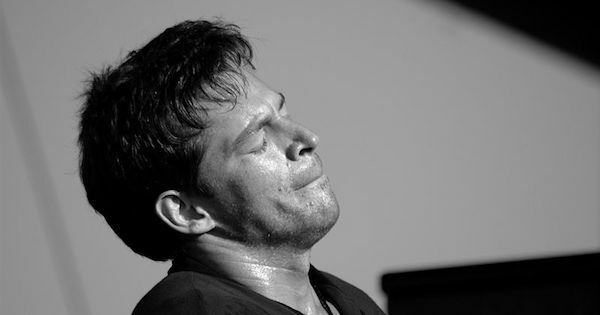 Harry Connick Jr. is a cool guy, but his audience is mostly white suburban moms, sorry, which means the clapping is gonna be on 1 and 3, which kills the feels. And the particular kind of New Orleans jazz he plays can teeter between cool and square, so a little push from the wrong side of the beat is death.